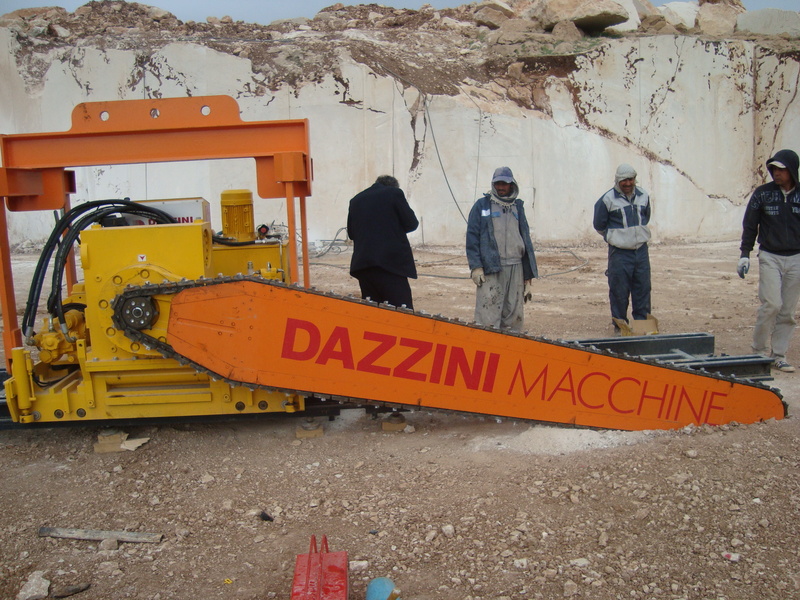 An example of the Dazzini QS4000D chain saw. 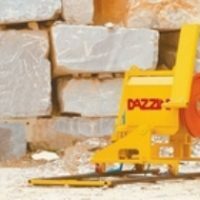 Category: Quarry Machinery: Chain Saws: Wire Saws etc. Result of careful development and specific research on materials and components, the hydraulic chain saw machine QS4000D is the new frontier in chain cutting. Thanking to some ultimate solutions this machine can guarantee maximum efficiency and performance, assuring reliability and safety in any working conditions. A special feature of the QS4000D is the main pump of the chain: it is a variable delivery type, that allows an accurate and precise regulation of the cutting speed, in order to optimize the performance according to the different hardness of materials. 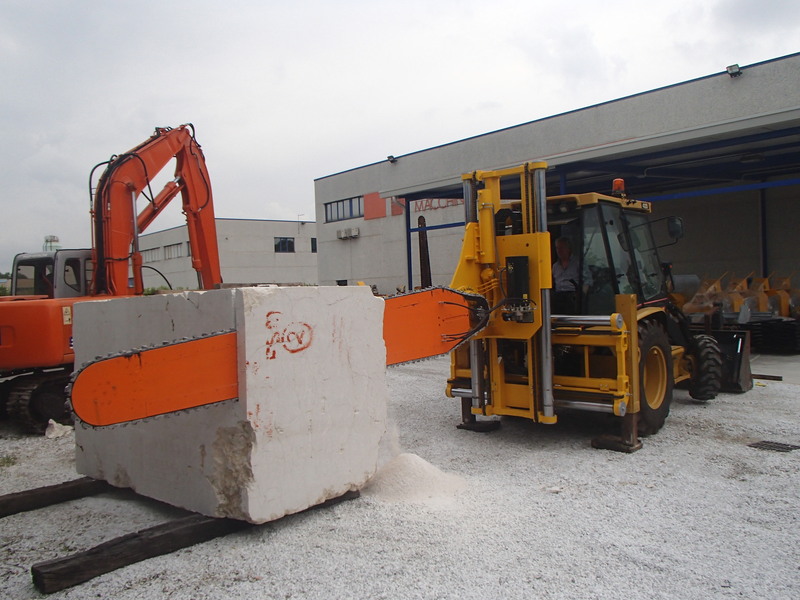 The QS4000D can make vertical and horizontal cuts form 1.50 up to 4.00 mt long, with a thickness of 42 mm. 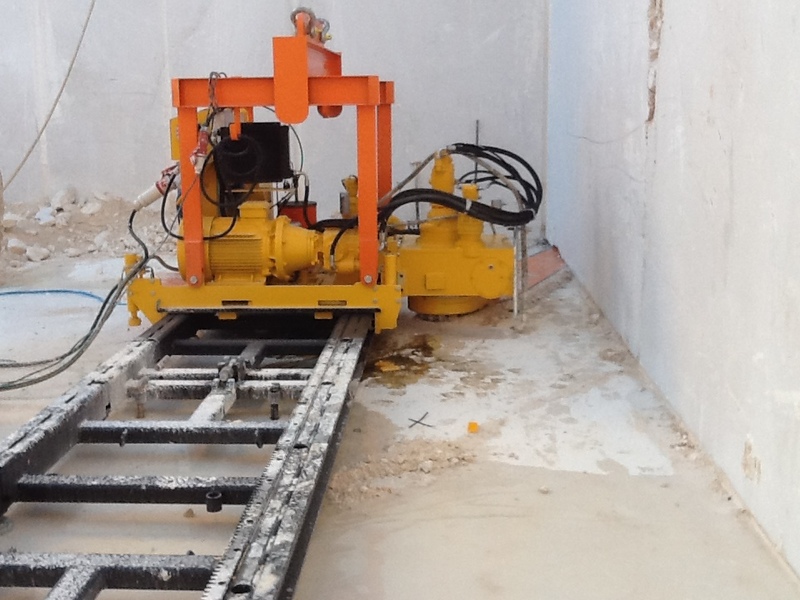 It is possible to work on marble and soft stones, using tungsten bits, both with water and dry; in case of hard stones the machine can be supplied with a special chain with polycrystalline diamond bits; also in this case the QS4000D can operate both with water and dry. QS4000D is supplied with a special automatic lubrication system for 5 lubrification points; following the blades' length, the lubrification point can be 3 or 5. The hydraulic system installed on the machine is specifically studied and properly designed, made using the best components available on the market, so that to guarantee utmost reliability and safety. Hydaluic circuit equipped by variable capacity pump, with 60hp electric motor, for driving the chain's speed. 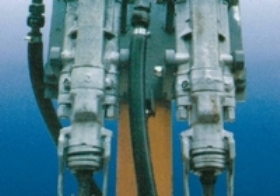 The second electric motor leads the other pumps and services (for blade's rotation, machine's feed, leveling pistons and overturning piston). This system allows maximum energy saving and environmental respect. 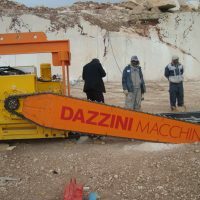 Thanking to an air/oil heat exchanger, the machine can work also in some geographical areas, where the particular environment conditions – desert (more 40°) or lack of water on the quarry site – oblige to work dry. 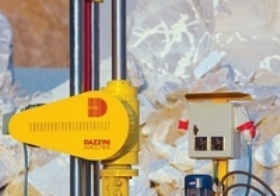 The QS4000D is supplied with several control and safety devices that allows a constant monitoring of the machine's activity. This is useful also to plan a correct maintenance program and keep the machine in the best working conditions.In order to make the transport easy, the QS4000D is supplied with four independent hydraulic pistons, that allow to perfectly align the machine with the cut. Thanking to the particular leveling system, the operation is extremely easy and allows the correct moving of the rails for best positioning. The lifting system works with only one rope, it means it very easy to rotate 360°.